TotalPond's Fountain and Landscape LED Light lets you show off your garden pond or water feature all night long. Available at The Home Depot. Available at The Home Depot. 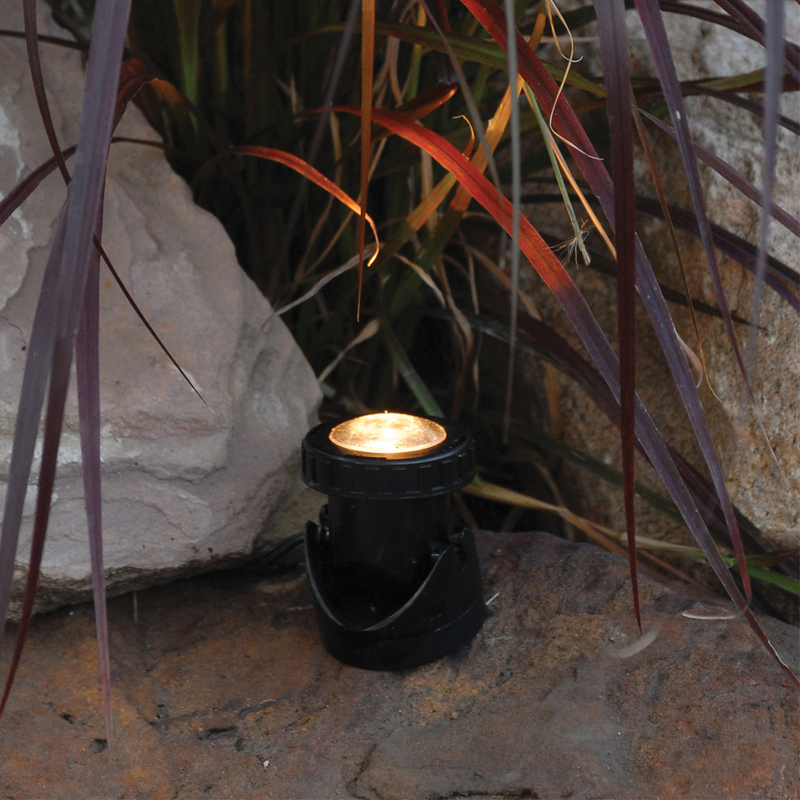 TotalPond's Fountain and Landscape LED Light lets you show off your garden pond or water feature all night long. The energy efficient LED light is durable and can be safely submerged into water with your plants and fish. You can also position it on the ground to lighten your landscape, improve safety and add color to your walkways and gardens. The set includes four color lenses; red, green, yellow, and blue. The lenses are easy to change so you can have a different look every night. The Fountain and Landscape LED Light can be used in and out of the water to illuminate water features and landscapes. Includes 1 energy-efficient LED light, an automatic dusk-to-dawn sensor, a 12V transformer, and easy-to-change color lenses (red, green, yellow, and blue). The 1W, waterproof LED light stays cool while its sits on a weighted base. Automatic dusk-to-dawn sensor shuts off the light during the daytime and turns it back on at night. Periodically, your light may require cleaning with warm water and biodegradable soap for optimal performance. The light can be used outside the pond in winter, but it needs to be kept out of any ice and snow. Ice and snow can damage the transformer and the light sensor. Dimensions: 2.25 x 2.25 x 3 in.